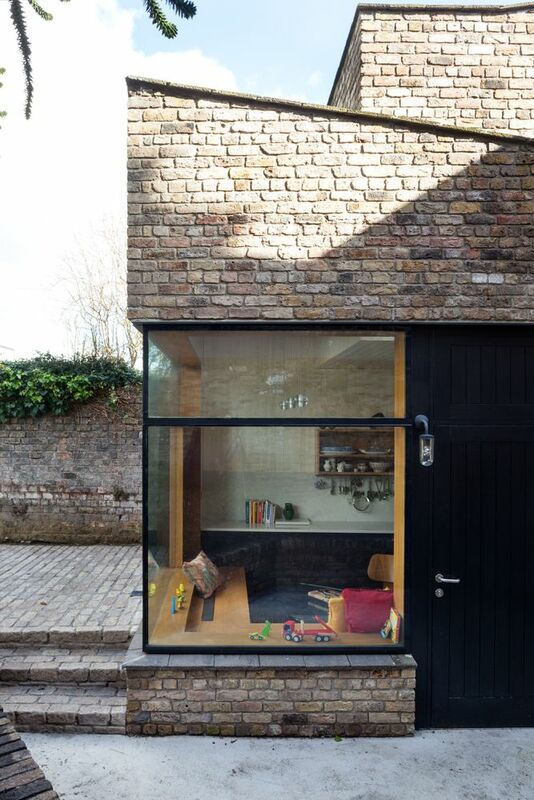 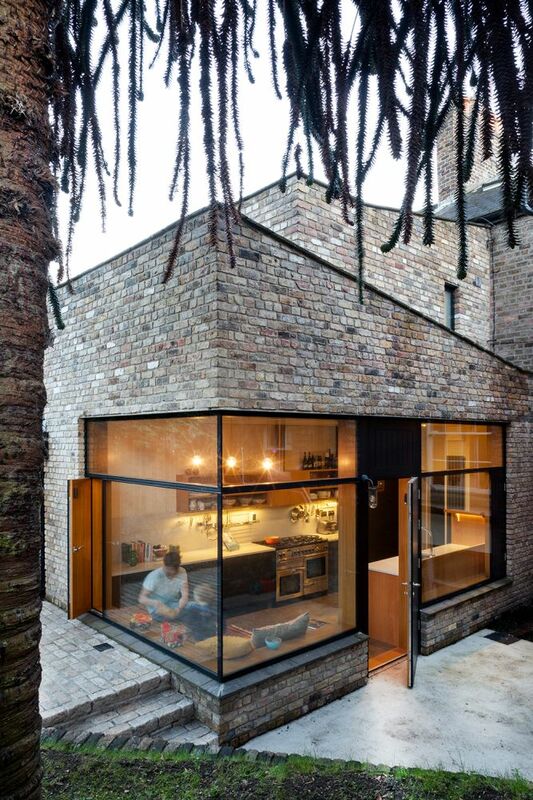 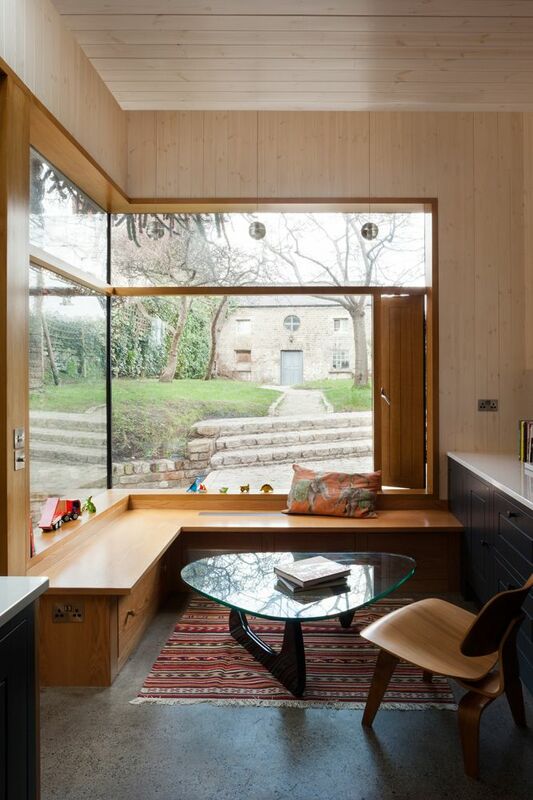 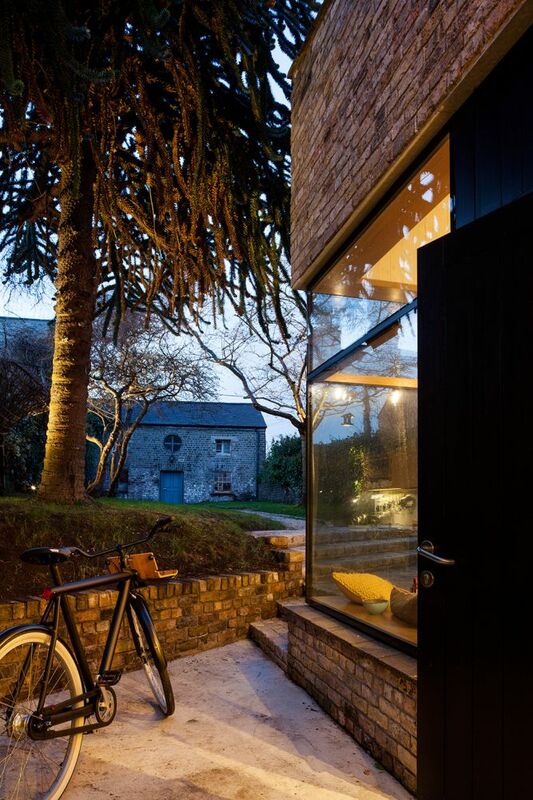 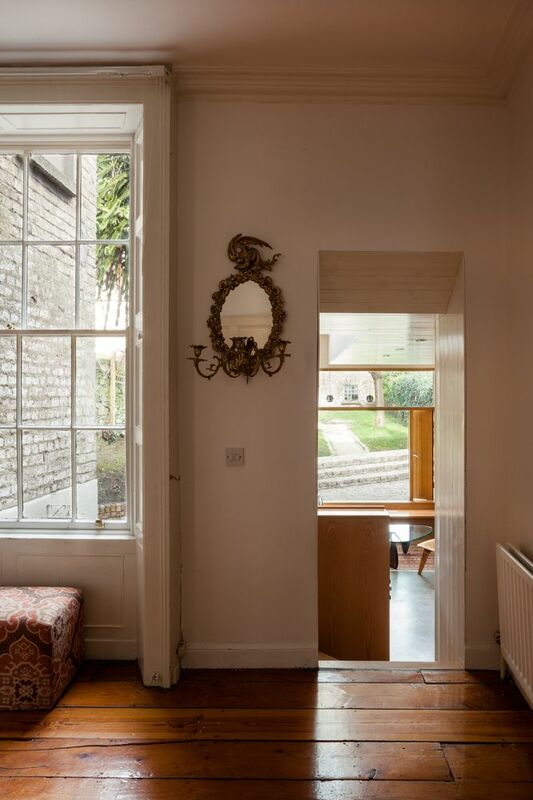 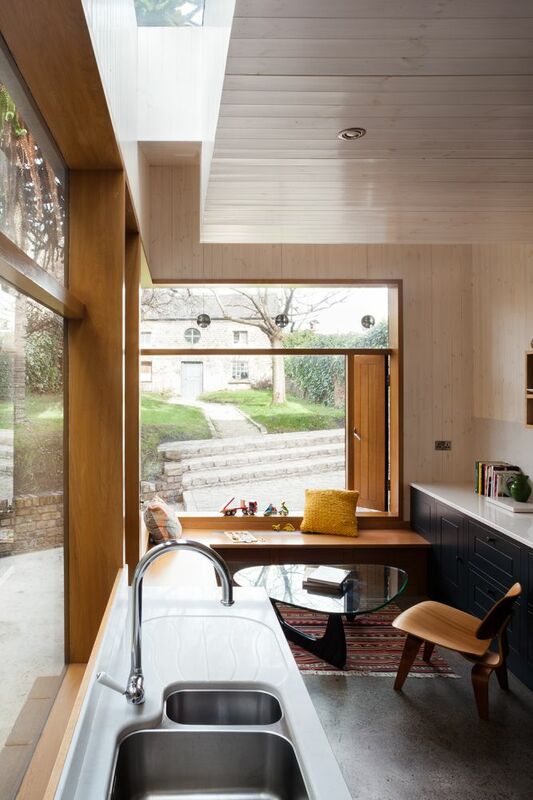 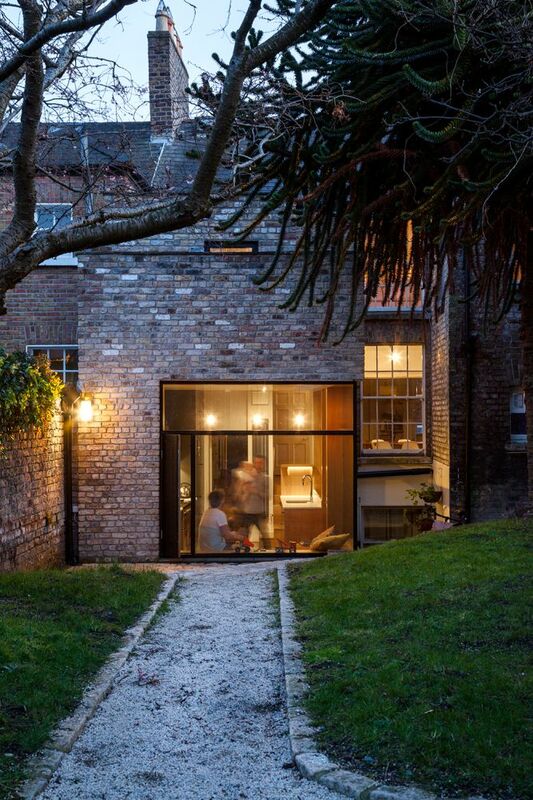 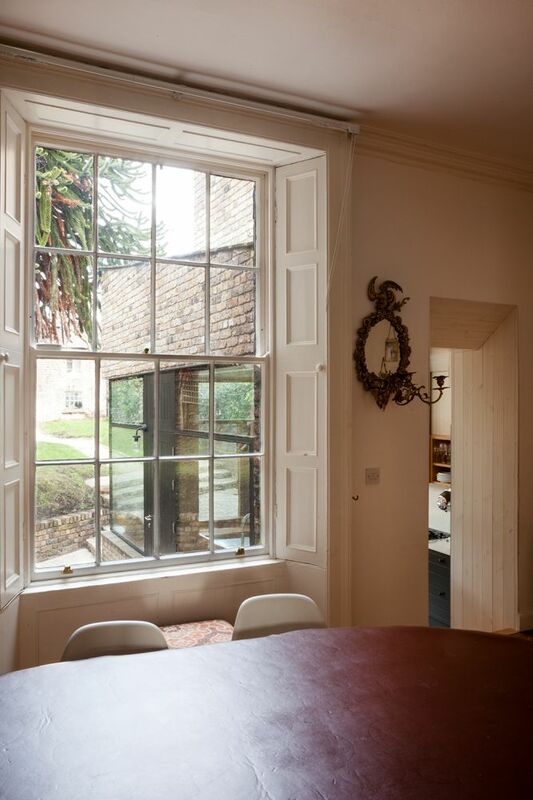 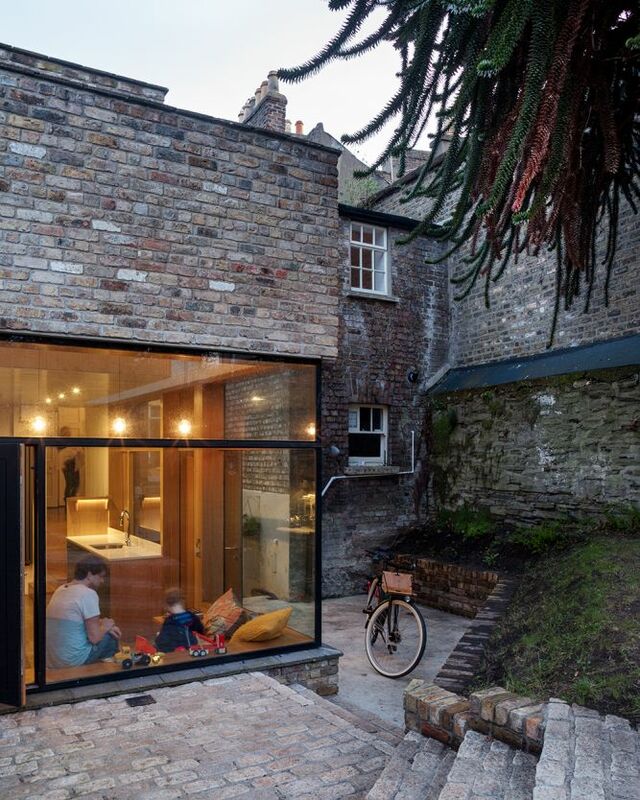 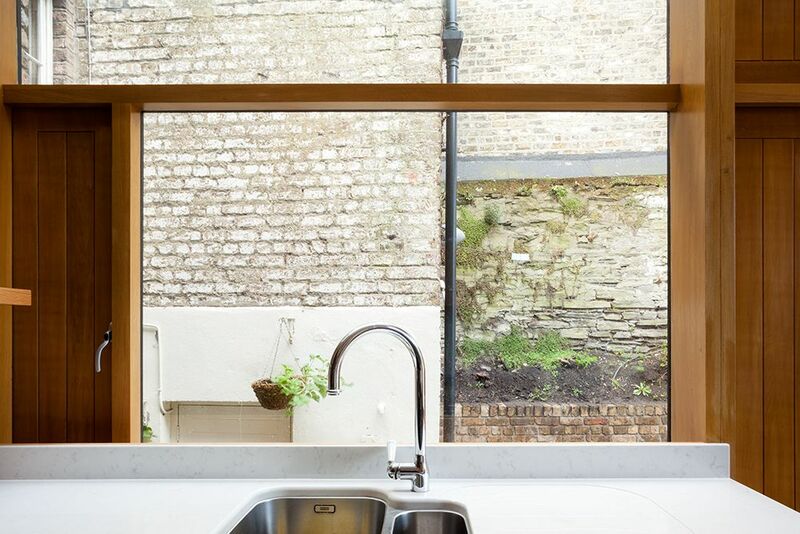 This North facing extension to a protected structure in Dublin 6 is pivotal in connecting the existing house to the garden and the original mews beyond. 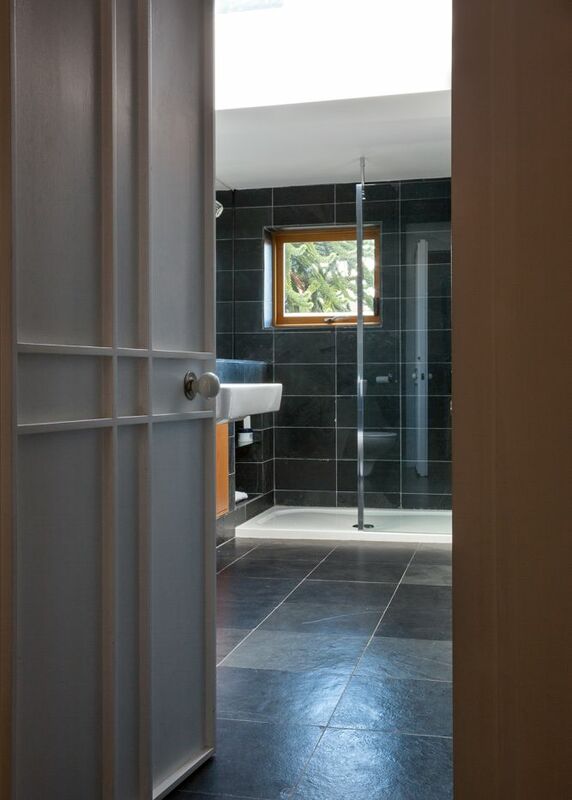 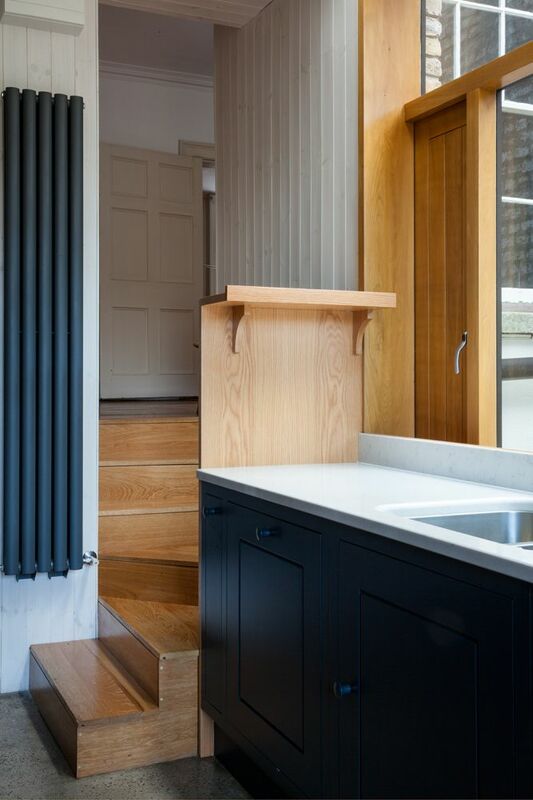 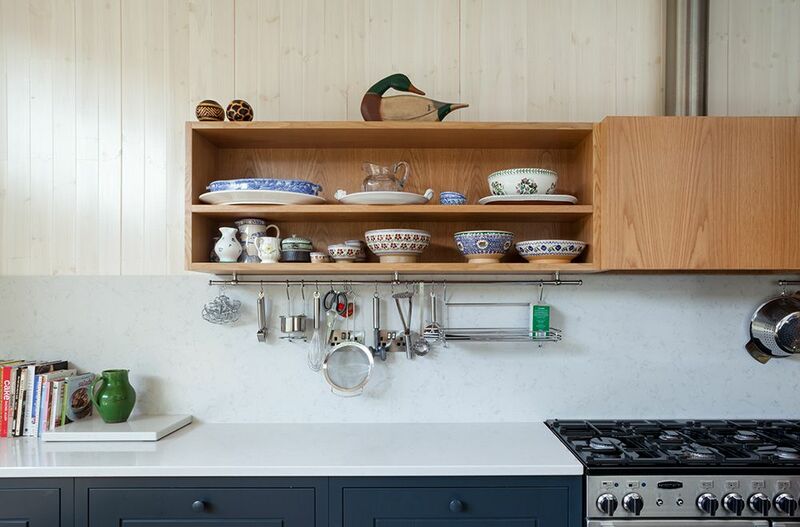 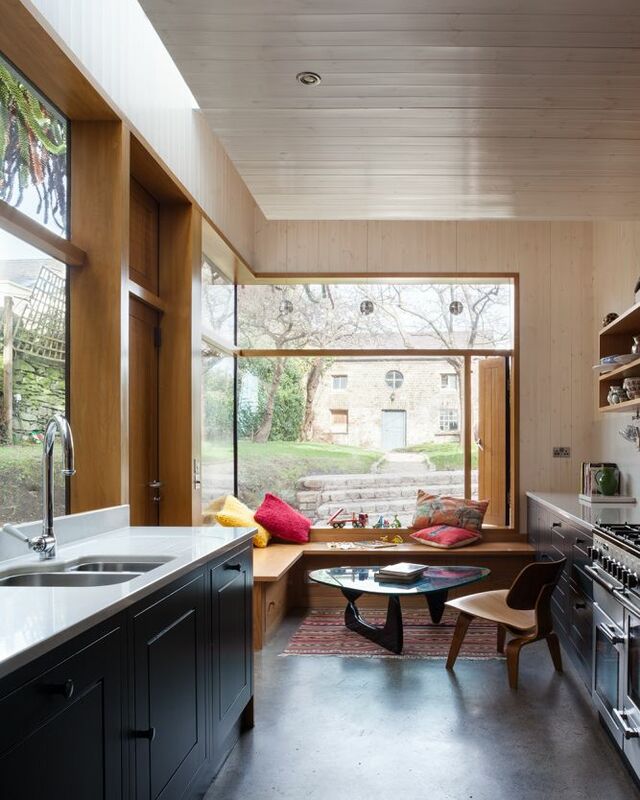 The design recesses the upper bathroom block into the lower kitchen block to minimise the overall height while the pitched roofs maximise the internal volumns. 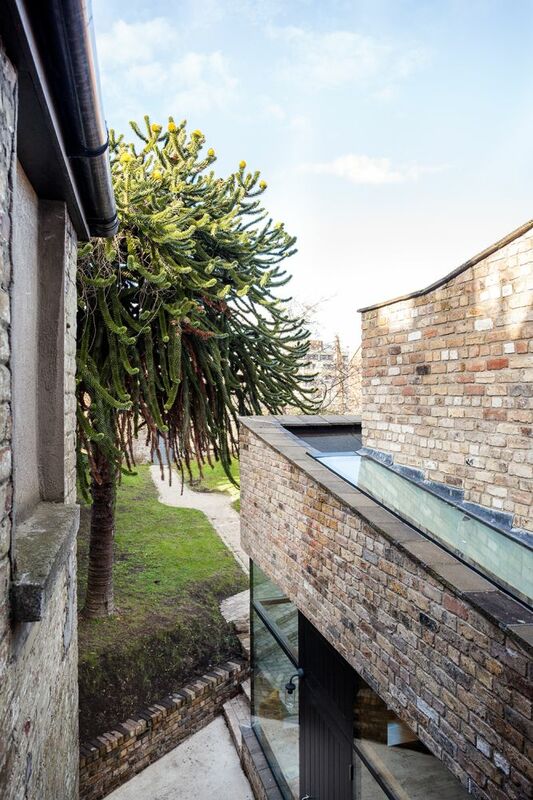 The massing of the volumns responds to the scale of the existing house and simultaneously steps downwards towards the garden.